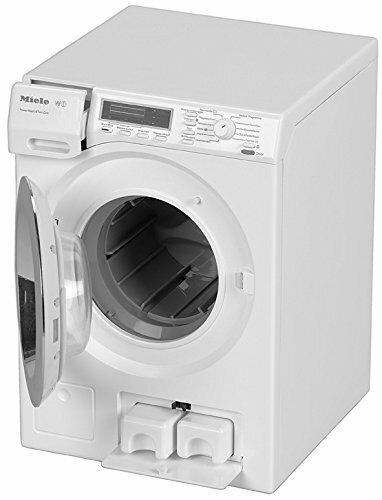 The Miele washing machine can actually wash small items without ever losing a sock! the washer uses a water intake and a water drain for washing and spinning. Each cycles has its own sound and beeps when then door can be opened at the end of the spin cycle. The washing drum can also be turned manually using the hand crank. Water can be drained using the hose attached at the rear. If you have any questions about this product by Theo Klein, contact us by completing and submitting the form below. If you are looking for a specif part number, please include it with your message.